Monday’s temperature hit a high of -12 C with a windchill close to a bone-rattling -30 C. Respite from the arctic weather is on the horizon, but for a particularly vulnerable portion of the population it can’t come soon enough. Brampton’s two shelter locations have 150 beds combined and both facilities are at capacity as a result of the dangerously cold conditions. The low number of shelter spaces here is almost unfathomable. Toronto, with about 4.5 times the population of Brampton, has about 50 times the shelter capacity. While the country’s largest city is also dealing with its own crisis because of the recent extreme weather, it has more than 7,000 emergency shelter spaces, compared to the roughly 150 in Brampton at two facilities in the city. The Wilkinson Shelter for men over 25 is the larger of the facilities and has 110 beds, 24 of which are for overflow. Brampton Queen Street Youth Shelter for those aged 16-24 has 40 co-ed beds though they reserve the right to allow two to three more clients above capacity to stay there in cold weather emergencies. Both facilities told The Pointer Tuesday that they are full, and have been since the extreme cold weather began on the weekend. A staff member at the Wilkinson Shelter said it is always full and has to rely on its overflow capacity in emergency situations. According to Peel Regional Police, officers have not had to respond to any cold-related injuries in the region thus far this winter. But overnight temperatures during the recent cold snap probably made some of the homeless wonder if they would see another dawn. The Region’s 2018-2028 Home For All homelessness and affordable housing plan says shelters are full to capacity and cites an increase of 26.9% in shelter use, as well as an acute shortage of beds for victims of family violence and youth needing transitional support. It also points out that 70 percent of low-income households are living in unaffordable housing (meaning that it costs more than 30 percent of their income) — requiring them to give up other necessities to afford a place to live and leaving them vulnerable to becoming homeless if a financial crisis strikes. The United Way and others have long said Peel is woefully short of shelter beds. And even if there were enough, shelters are only a stop-gap to deal with a more intractable problem: the lack of transitional and affordable housing in the region. 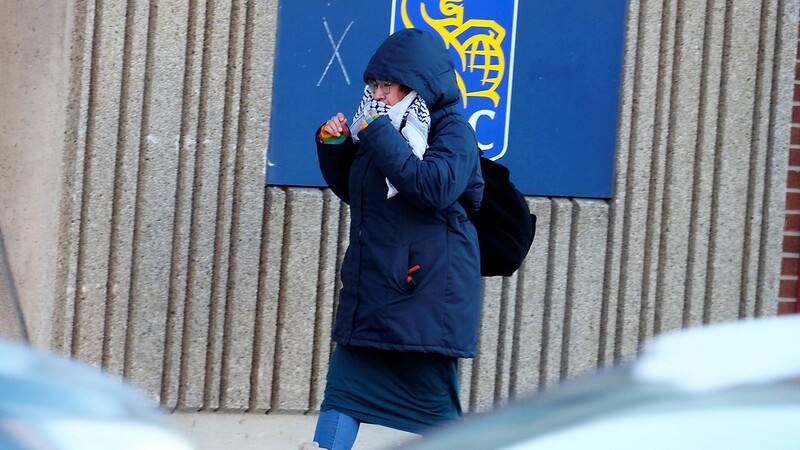 The City of Brampton does operate warming centres inside recreational facilities in times of emergency, such as during the most recent ice-storm. The city did not respond to The Pointer’s inquiries about whether those shelters are open throughout the winter. The few overnight facilities available are severely overcrowded and hard to access.The Peel Region website recommends five facilities: two in Brampton and three in Mississauga, all of which are located either close to city limits or in hard-to-access industrial areas. 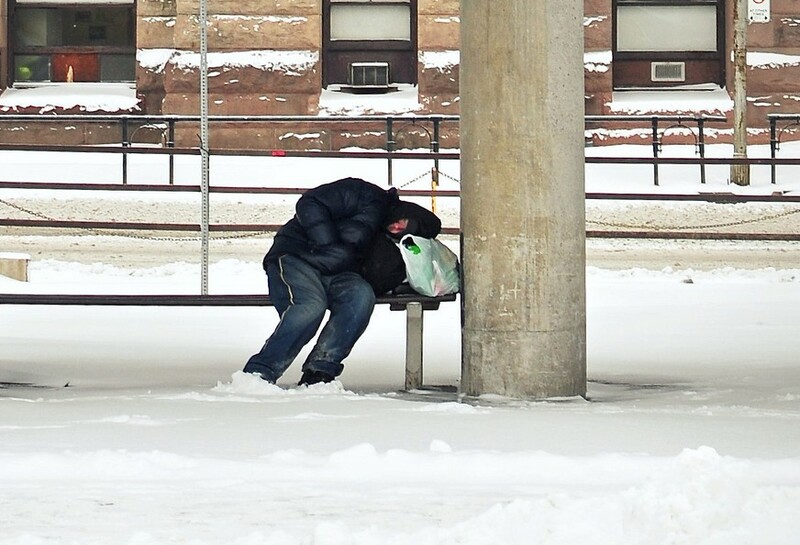 Bramptonians unlucky enough to require a shelter space could find a place to sleep either at the Wilkinson Shelter — near the border with Mississauga — and Brampton Queen Street Youth Shelter, located near the city limits adjoining Etobicoke, at Queen St. and Goreway Drive. Homeless people who aren’t living in their cars face the challenge of using public transit to get there. Mississauga’s shelter situation is similar. All three shelters recommended by Peel Region are clustered close together near the border with Etobicoke, in the area where the QEW and the 427 intersect. These are incrementally easier to reach than Brampton’s shelters, which are in industrial areas where other resources are scarce and far from residential areas where vulnerable people are likely to be couch-surfing to avoid losing shelter altogether. Mississauga’s shelters are closer to residential areas, where it’s possible some people displaced from their homes might be able to walk to a shelter. Homelessness and poverty have been steadily growing challenges in Peel Region for decades. A 2017 report by the United Way, titled The Opportunity Equation in the Greater Toronto Area, said that in 1980, only 2 percent of neighbourhoods in Peel Region were considered low-income on average; by 2015, according to the same report, that number had jumped to 52 percent, a dramatic increase that may be partly attributable to the region’s rapid growth. Low-income neighbourhoods, where many people live paycheque to paycheque, are more likely to spawn homelessness when a crisis hits. “Homelessness is an unignorable issue across the GTA and is about more than not having enough money to pay rent. It’s rooted in structural factors like growing job insecurity and income disparity, and the individual crises, such as job loss and gender-based violence, that can derail any of us,” said Ruth Crammond, vice president of community investment and development at the United Way. Refugee claimants have recently added to the strain on the shelter system; the report notes that the number of individuals making use of Peel’s family shelter increased from 23 individuals in the third quarter of 2017 to 385 in the last quarter of that year, many of them part of large families who hoped to remain in the region long term. Between 2015 and 2017, refugee claimants were never more than about 4 percent of the shelter population; that number jumped to 12 percent in 2018 — about 1,127 individuals of the 9,566 who had used the shelters at some point during the year. The severe shortage of affordable housing in Peel is an important factor in homelessness in the region. 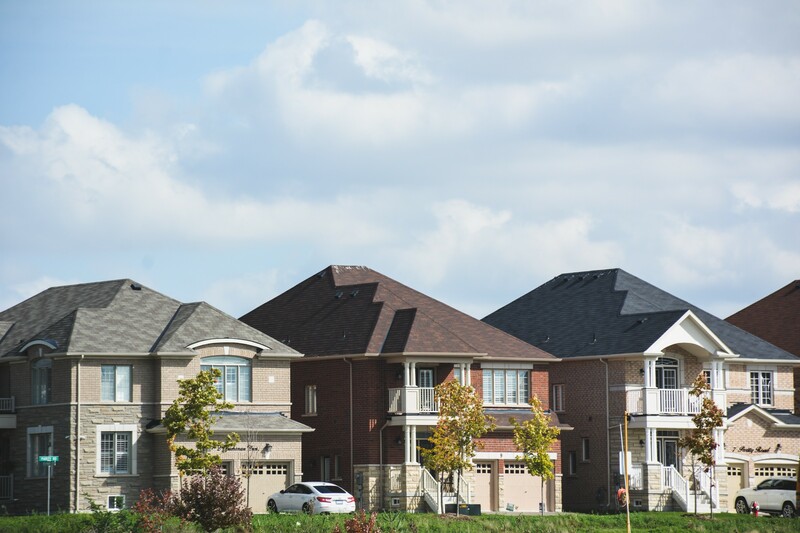 Brampton’s preference for single-family, suburban-style houses means there are few affordable housing units available for people living on very limited income. The Home for All plan sets an ambitious target of building 1,000 housing units a year that low-income households can afford, but isn’t clear on how that goal will be achieved. It remains to be seen what Regional Council will decide to do about homeless shelter capacity and affordable housing as it curretly addresses the proposed 2019 budget presented by staff, which awaits council approval. It's clear that the region's politicians have failed to address these issues; meanwhile they are set to hike the operating budget once again — if approved the proposed 2019 regional budget will represent a more than 30 percent spike in the operating budget in the last seven years, a $600 million increase from 2013 to 2019, mostly for labour costs (and much of that for the rapidly rising salaries of Peel police officers). Meanwhile, shelter space and affordable housing have been largely ignored. Between 2011 and 2016, the number of households living with low income grew by 8%. (compared to a healthy vacancy rate of 3%). In light of these statistics, the Peel Housing and Homelessness Plan set out in the Home For All document seeks to mitigate homelessness in the region by creating programs to divert people from shelters, building more affordable housing, incentivizing the building industry to construct more affordable housing, leveraging existing stock to create more varied options, and increasing supportive housing. “We have initiatives to permanently house homeless individuals in our community and provide supports to ensure they stay housed,” Kareckas said. But on a frigid night in January, those initiatives just aren’t nearly enough.